Even though we were expecting a slow April, the rumor mill still doesn’t want to rest when it comes to leaks about specifications and features of upcoming products and devices. We’ve been hearing quite a bit about the Samsung Galaxy Note 6 over the past couple of weeks, with the Korean manufacturing giant’s phablet expected to outdo its predecessor once again. On the hardware side of things, Qualcomm’s next Snapdragon, dubbed as the Snapdragon 830 for now is surfacing almost everyday in form or the other and today we have yet another detailed specification leak for you. Read on below to find out more. When it comes to the Snapdragon 830 or the Snapdragon 823 according to some sources, the chipset has been the feature of the rumor mill for quite a while. One thing that’s unanimous across almost all quarters is the 10nm manufacturing process, with the processor to finally make the much needed update. The model number and the manufacturing process for the chipset surfaced six months back, with sources out of China claiming that the Snapdragon 830 is referred to as the MSM8998 internally at Qualcomm and will be coming with the aforementioned die size. The processor is expected to follow the Snapdragon 820 when it comes to the CPU, with the Snapdragon 830 expected to come with a quad core Kryo CPU on board, clocked at 2.2GHz. We might see this divided into two further subsets clocked at 1.6 and 2.1GHz respectively, so performance upgrades are expected across all quarters. 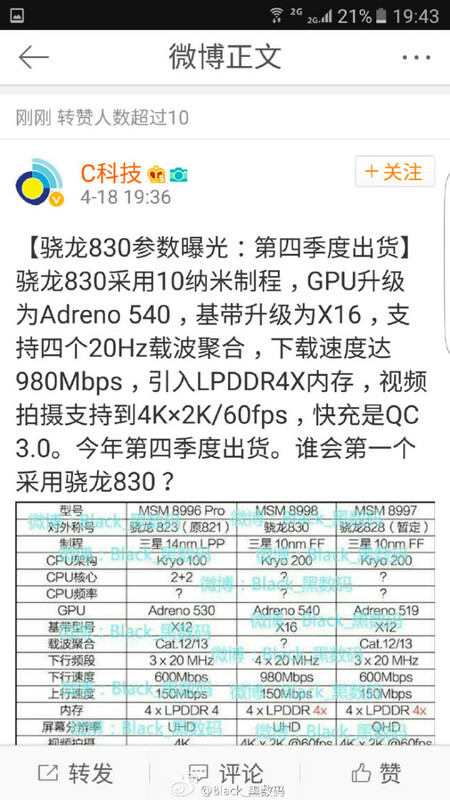 Now, some more sources from China have started to elaborate a bit more on the next gen processor’s specifications. A couple of months back we saw information surface which claimed that the Snapdragon 830 will be coming with support for up to 8GB of RAM. leaving manufacturer’s with a lot of room to decide the memory specifications on their devices. Today, as you can see in the image at the top, some more sources are claiming that the Snapdragon 830 will be coming with LPDDR4X on board. If true, then this will mark a big upgrade for the processor, as LPDDR4X cuts down memory power consumption by almost half when compared to its predecessor, LPDDR4. Qualcomm won’t be the first to use the memory on its processor, as MediaTek’s Helio P20 has already been confirmed to use the feature. When compared to the LPDDR4 which uses 1.1V, LPDDR4X uses only 0.6V of power, marking for significant power savings. In addition, we’ll also be getting 4Kx2K recording at 60fps for the processor, coupled with a baseband upgrade to X16. Download speeds for the Snapdragon 830 according to today’s surce will be up to 980Mbps, though of course the end result depends on what carrier you’ll be using with your device. 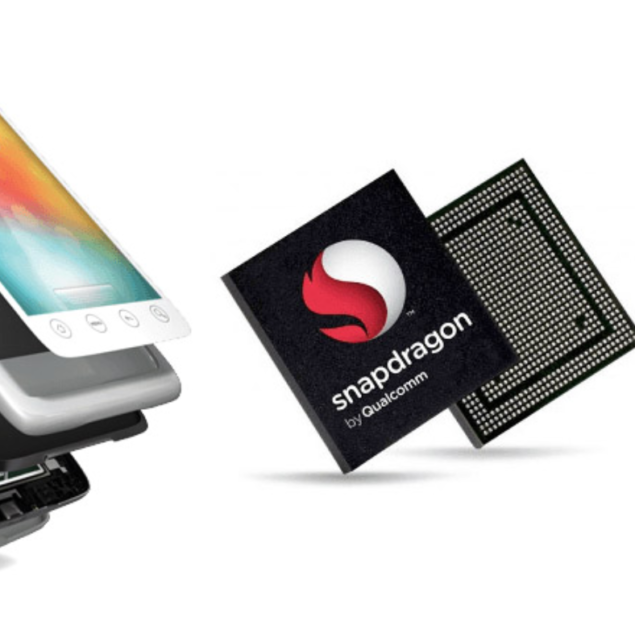 As the focus of the Snapdragon 820 this year was primarily towards stability, given the whole Snapdragon 820 overheating episode, by the looks of things so far, Qualcomm’s got its guns ready for the Snapdragon 830. The Snapdragon 830 Spotted On Windows 10 Mobile Site; Surface Phone To Feature SoC?